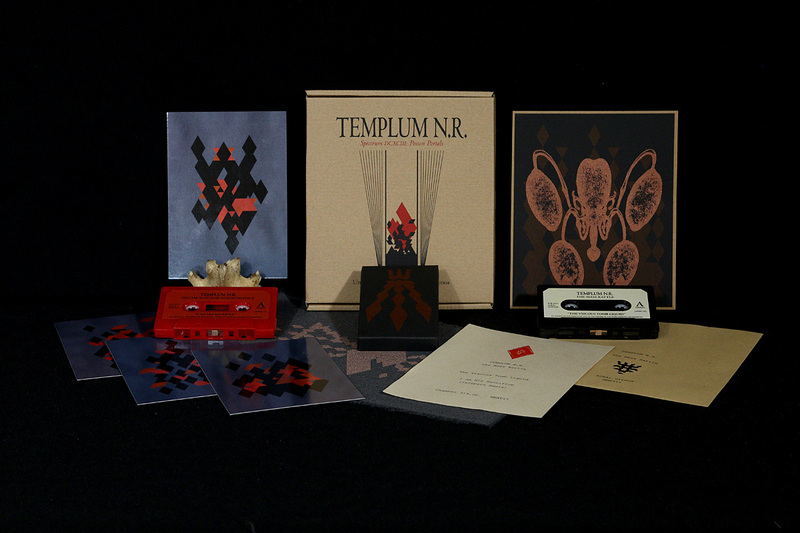 Out now: Templum N.R. 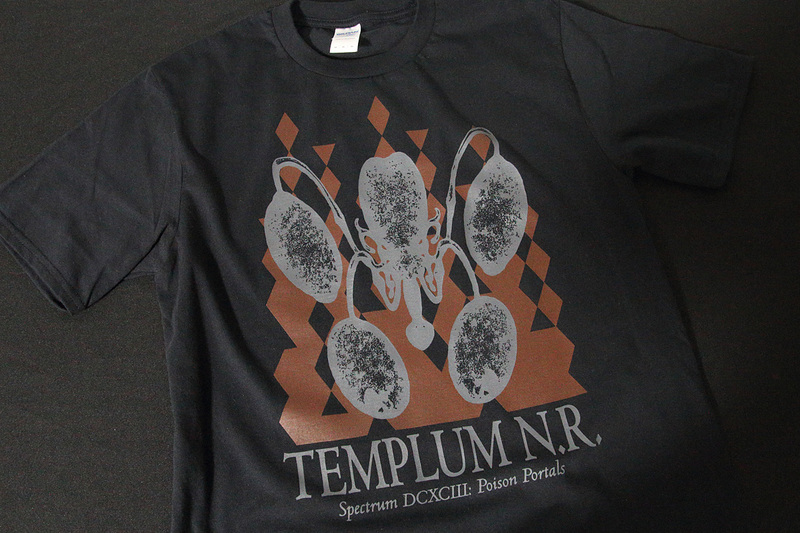 ‘Spectrum DCXCIII: Poison Portals’ C-40, special edition & t-shirts! We are thrilled to announce the third full-length album ‘Spectrum DCXCIII: Poison Portals’ of Templum N.R. The album is released in a cassette format through our Underworld Editions and will be followed by CD and vinyl releases in due course. The other worlds and realities are present both in sound and vision; this album is a triple bladed iron dagger, brought to this world while working in a trance. Assume its form, penetrate the Poison Portals and travel until the opposites intermingle and known territories vanish beneath the fifty meter high waves. The regular edition of 70 copies is housed inside an oversized, screen printed & stamped cardboard covers including four two-sided insert cards and a canvas patch (18 cm x 30 cm). The special edition of ‘Spectrum DCXCIII: Poison Portals’ is limited to 27 copies and includes the regular edition and an exclusive ‘The Mass Rattle’ C-20 ep. ‘The Mass Rattle’ c-20 ep comes exclusively as a part of ‘Spectrum DCXCIII: Poison Portals’ special cassette edition. This ep includes two tracks; Side A presents an exclusive, previously unreleased track ‘The Viscous Tomb Liquid’ and side B holds a Telepath Remix of the “I am His Sacrifice” track. 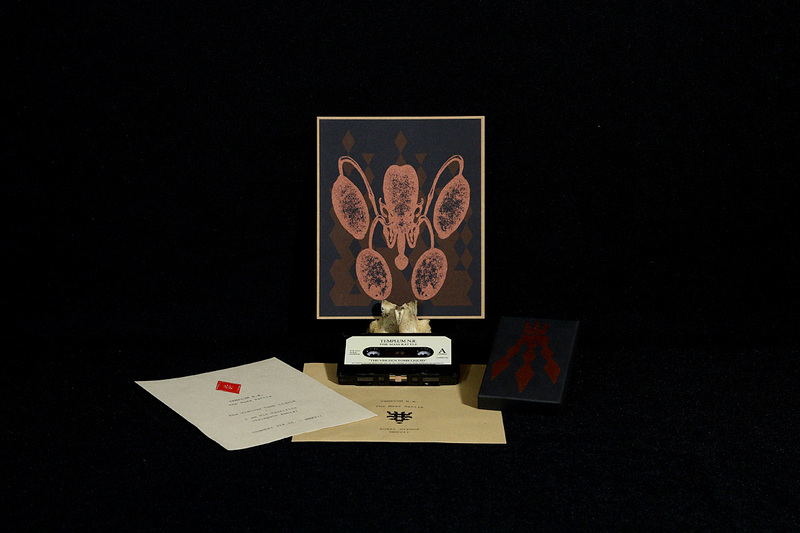 The cassette is enclosed inside a screen printed cassette covers and comes with a textual and screen printed insert. 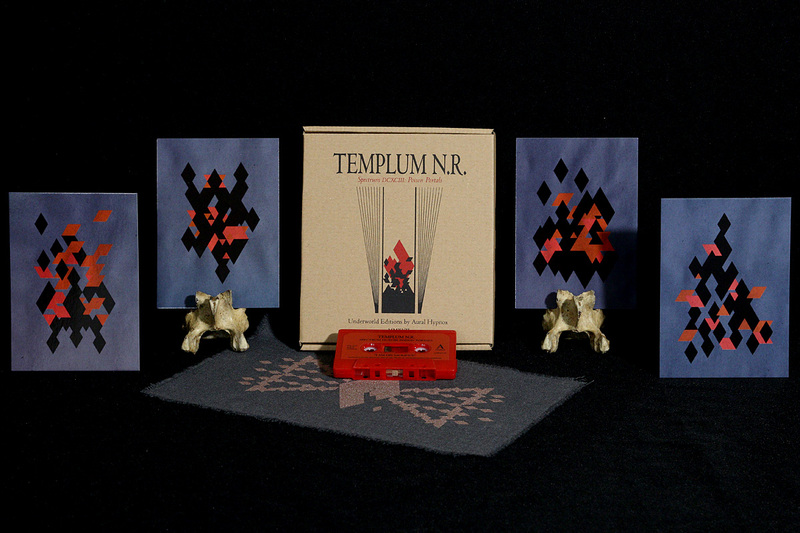 Templum N.R. 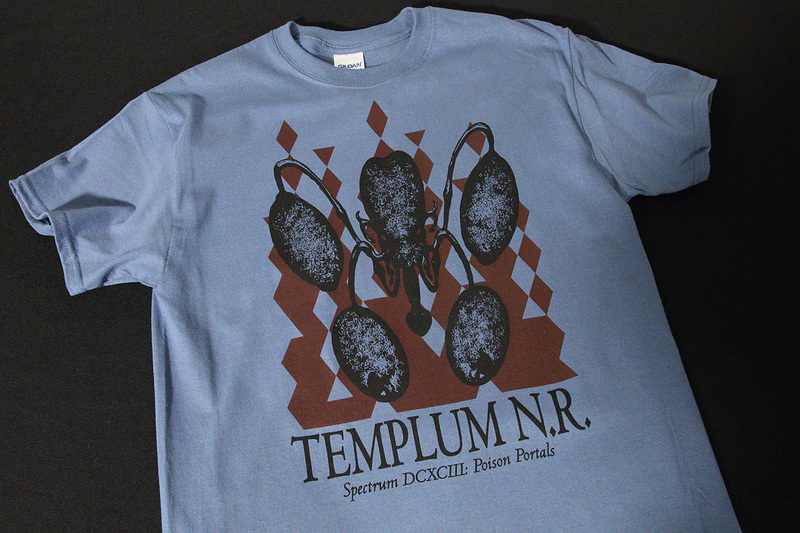 ‘Spectrum DCXCIII: Poison Portals’ t-shirt is available in two colors: black & indigo blue. Screen printed in the Aural Hypnox lodge, June 2017. Gildan premium & ultra cotton t-shirts. Black has grey & dark red ink on front. Indigo blue black and dark red ink. Available sizes: S, M, L, XL & XXL. Working day and night with entities from other worlds and realities	All orders have been shipped – Thank you to all for your support!